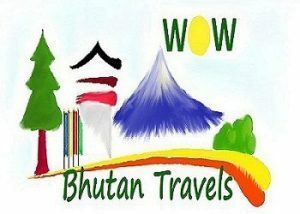 This in-depth cultural tour offers a rare opportunity to savour the different customs and cultures of the western and central valleys of Bhutan at a leisurely pace. Highlights include Ta Dzong Museum, Rimpong Dzong and the infamous Taktsang Monastery (Tiger’s Nest) in the beautiful Paro Valley, The National Memorial Chorten, 12th century Changangkha Temple and the National Library exhibiting ancient scriptures in Bhutan’s capital Thimphu, and after crossing the 3050m Dochula Pass with spectacular Himalayan views, a journey into the sub-tropical Punakha Valley featuring the incredible the Punakha Dzong and Chimi Lhakang, temple of the ‘Divine Madman’. Continue onto the central districts of Trongsa, the birthplace of monarchy, and the Bumthang Valley, Bhutan’s spiritual heartland featuring 7th century Jambay Lhakhang and Kurje Lhakhang with its rock imprint of Guru Rimpoche. The tour then returns westward to the glacial valley of Gangtey/Phobjika, the winter home to the rare black necked cranes. The in-depth ‘Historic Central Bhutan’ cultural tour offers a rare opportunity to savour the different customs and cultures of the western and central valleys of Bhutan at a leisurely pace. Once a rustic village sitting in a broad, fertile river valley, Thimphu is today the nation’s bustling capital. Enjoy a full day of sightseeing, including a visit to the National Memorial Chorten, completed by the Royal Queen Mother as a memorial stupa for the Third King who passed away in 1972. Continue on to 12th century Changangkha Temple and the Zilukha Nunnery. If your visit to Thimphu coincides with the weekend, you can walk through the Thimphu Market (Open only from Friday until mid Sunday). Overnight at your hotel in Thimphu. If there is time, you may visit the nursing pen for the Takin, the national animal of Bhutan, and Tashichhodzong, ‘the fortress of the glorious religion’ housing some ministries, His Majesty’s secretariat, and the central monk body. Other options for the day include a hike to Tango and Cheri Monasteries (45 mins), two of the most ancient monasteries in the Thimphu region or a hike to Phajoding Monastery providing a splendid view of the valley. Overnight at your hotel in Thimphu. After lunch, enjoy a walk to Chimi Lhakhang, temple of Drukpa Kuenly. He inherited the Divine Madman title since he revolted against the orthodox Buddhism in his time. He taught the people that religion is an inner feeling and it’s not necessary that one should be an ordained monk. He is also considered a symbol of fertility. Overnight at your hotel in Punakha/ Wangduephodrang. Continue driving to Bumthang, home to some of Bhutan’s oldest Palaces and temples. The valley’s barley fields, apple groves and meadows lay below huge hills which climb up towards the Himalayan mountain wall separating Bhutan from Tibet. Overnight at your lodge in Jakar, Bumthang. In the morning visit Kurjey Lhakhang, one of the most sacred places in the kingdom where Bhutan’s patron saint Guru Rimpoche meditated and 7th century Jambay Lhakhang. It dates back to the origins of Buddhism in Bhutan and is one of the Kingdoms oldest temples. After lunch, visit Jakar Dzong and Tamshing Lhakhang, founded in 1501 by Pemalingpa and containing interesting and ancient Buddhist wall paintings. Afterwards enjoy exploring the village of Jakar, Bumthang’s main township. Overnight at your lodge in Jakar, Bumthang. Enjoy a day exploring some of the many sites around Bumthang. The 16th century Tang Ugyen Chholing Palace stands features a museum containing an excellent overview of traditional rural life in Bhutan. Continue on to visit the pool of Mebartso (The Lake of Fire). It is here that Pemalingpa (founder of the Nyingmapa sect) is said to have found treasure hidden by Guru Rinpoche. Overnight at your lodge in Jakar, Bumthang. Start early today for Gangtey, about 6 hrs from Bumthang. Farmhouses and temples dot the landscape and you will see local farmers wearing the traditional woven bamboo hats of central Bhutan. The wide and picturesque Phobjikha valley is one of Bhutan’s few glacial valleys, and chosen winter home of black necked cranes (November – March) migrating from the Tibetan plateau. Visit Gangtey Goempa (Monastery), the only Nyingmapa monastery in western Bhutan and explore Phobjika Valley with time to view the Black-Necked Cranes. Overnight at your hotel in Phobjikha. Morning visit to view the Black-Necked Cranes (winter only) before departing for Paro (approx 7 hrs). From Gangtey the road gradually descends into the balmy Punakha valley before climbing up over Dochu La Pass. Overnight at your hotel in Paro. In the afternoon drive to the ruins of the 17th Century Drukgyel Dzong, built to commemorate a victory against invading Tibetans in 1644. In fine weather the towering peak of the sacred Mount Jomolhari (7314m) appears as a stunning backdrop. On the return drive to Paro, visit 7th Century Kyichu Lhakhang, one of the 108 temples constructed by the Tibetan king Songtsen Gampo.Alternatively, day 10 could be spent on a day trip to the Haa Valley, one of the most picturesque districts in Bhutan. Reached via the beautiful Chelila Pass, Haa Valley is characterised by its surrounding rugged and mountainous terrain. Overnight at your hotel in Paro.